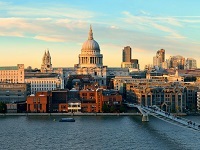 The IPA's 51st International Congress and IPSO’s 25th Conference are coming to London! During the Congress, the IPA will take up the challenge of updating and rethinking classical psychoanalytical views on 'the feminine' and their repercussions in psychoanalysis. Register now to secure your place at the IPA's flagship event, and join more than 2,000 international delegates also taking advantage of the Congress' diverse educational programme, networking opportunities and social activities.